Scentsible Life wishes all of you a HAPPY 4th OF JULY weekend. 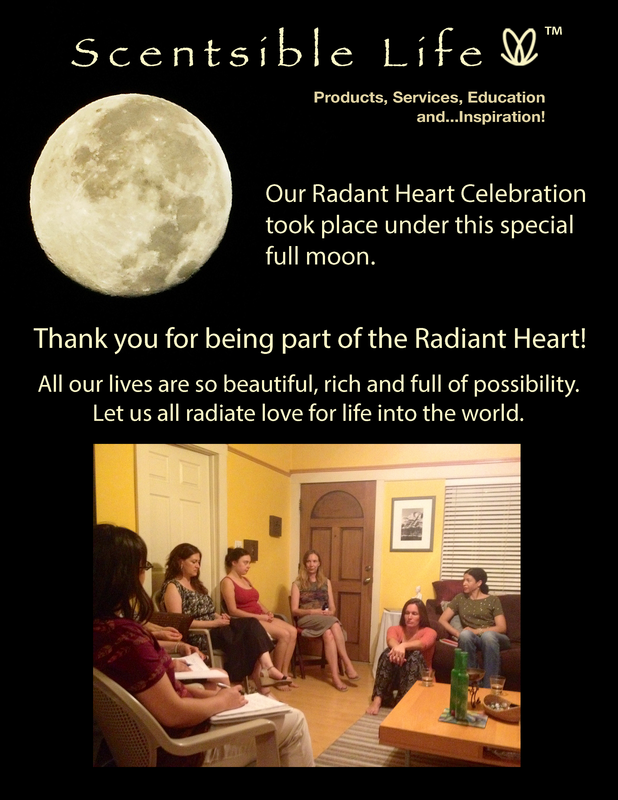 Just a few days ago, on Thursday evening, we activated the new Radiant Heart (Summer) 2015 with the beautiful July Full Moon as a backdrop. It warmed my heart to welcome so many people who are sincerely interested in living free, loving and compassionate lives. Thank you so much for coming to this special event.